Many potential buyers are nervous about the home buying process. It's understandable - especially when prices are as high as they are. While there is never 100% protection in life, there is a good deal of protection built into the process of buying real estate here in Southern California. 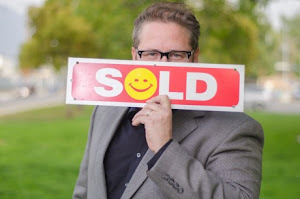 Buyers can take comfort in knowing the whole purpose of the California Bureau of Real Estate Purchase forms is to protect buyers and sellers with added emphasis on the buyer since he or she is truly at a disadvantage not knowing the history or condition of the property. There are three main projections we call CONTINGENCIES for the buyer's protection in the sales process. Each is a way for the buyer to get out of the sale without penalty. The first contingency is for INVESTIGATIONS into the physical conditions of the home and also the surrounding area. The length can be negotiated, but most agents prefer to keep it as short as possible - around 7-10 days. During this time, buyers are expected to hire any and all trade professionals to investigate the history of the house, its physical condition, and conditions of its surrounding area. It is during this time that sellers are obligated to disclose anything negative they know about the house and immediate area as well. Once the time for investigations is up, the seller will ask that the buyer remove this investigative contingency and move forward. The removal is not automatic, the buyer must submit a written document stating the removal of the contingency. The second contingency is the APPRAISAL Contingency. It is exactly what it's name implies - for the appraisal of the property and usually runs 17 days. In simple terms, the home has to appraise for the value of the loan or the buyer is not obligated to proceed with the sale = the buyer can end the escrow without penalty. If the home does not appraise, one of three things may happen: 1) The seller reduces the sales price to the appraised value, 2) The buyer comes in with an amount of additional funds to cover the deficiency, or 3) A combination of numbers 1 & 2 is agreed to between buyer and seller. The third and final contingency is for the LOAN itself. The loan contingency is typically 21 days and basically means that if the buyer is somehow unable to get approval for the loan by day 21, they can get out of the escrow without penalty. One important fact to know is that the whole system is not black and white. Extensions of time may be asked for but sellers are not compelled to grant them. If one is late sending in his or her contingency removal by the day agreed to in the contract, seller may then issue a 48 hour Notice to Perform through the agents to the buyer. This notice gives the buyer 2 days to remove their contingency or accept the end of the escrow. It is the one protection for the sellers to prevent buyers from holding their home hostage in escrow indefinitely.